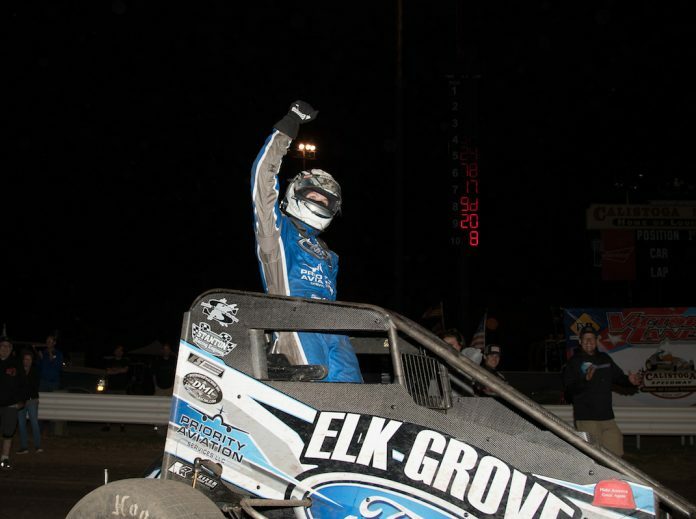 CALISTOGA, Calif. — Shane Golobic took only three laps to power past race leader Alex Schutte before running away from the field to win USAC midget portion of the Louie Vermeil Classic at Calistoga Speedway. 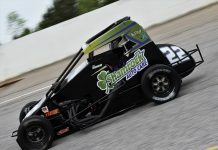 His first victory at the half-mile oval came a year suffering the disappointment of leading both nights of the Louie Vermeil Classic but coming up empty-handed with mechanical failures. Ronnie Gardner finished second with Schutte, Robby Josett and David Prickett filling the top five. Damion Gardner won the sprint car feature. Shane Golobic, Ronnie Gardner, Alex Schutte, Robby Josett, David Prickett, Marvin Mitchell, Dustin Golobic, Michael Faccinto, C.J. Sarna, Randi Pankratz, Kyle Beilman, Tanner Thorson, Johnathon Henry, Ryan Bernal, Max Adams, Robert Dalby.